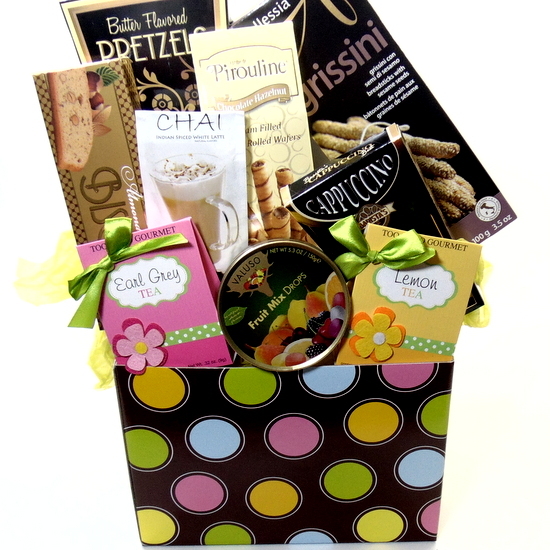 Tea gift basket blue, green, yellow and pink dots on an open brown box. 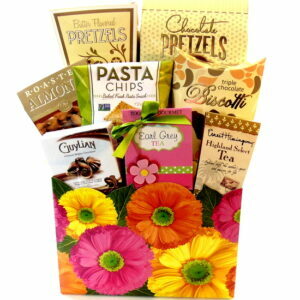 Gift is filled with herbal teas, candies, cookies and much more goodies. Free Toronto hand delivery. This gift would be a great gift for all occasions Mother’s day, get well soon, thank you, happy birthday, love, new home, Mothers Day and more. 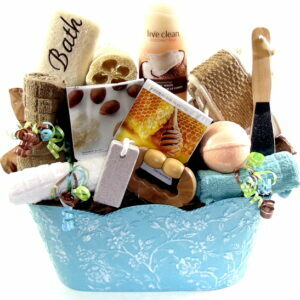 Send you message with Tea gift basket. Enjoy. Thank You! Sorry. Love You .Get Well Soon & more.